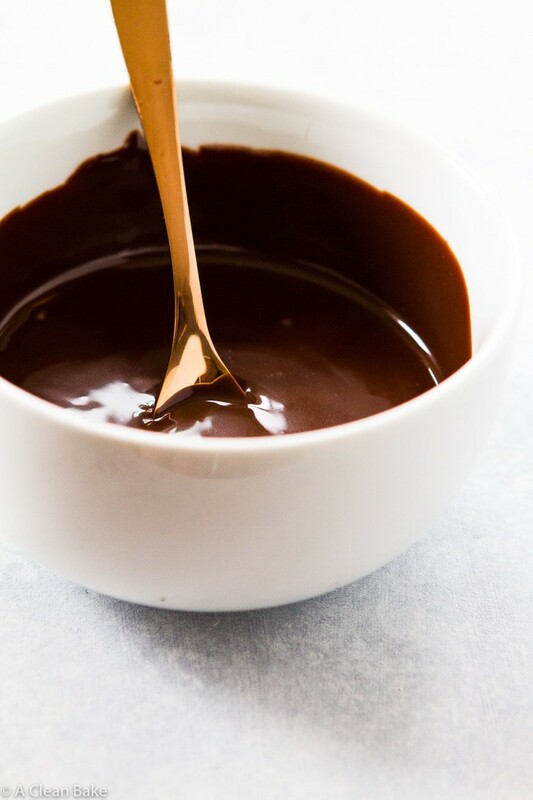 Paleo chocolate ganache is the easiest recipe to make: just heat your coconut cream, pour it over chocolate and stir! You’ll get a silky smooth sauce that is as versatile as it is irresistible. This is another quickie recipe for you, like last week. After I posted the Chocolate Ganache Tart, I got a few people asking for the ganache recipe separately. You mean you don’t want to dig through a post and the recipe card at the end to pinpoint the only component you need? 😉 Fair enough! Ah, good question. It’s a rich, creamy, thick form of chocolate that is neither solid nor liquid. It looks firm, but the texture is perma-scoopable (as all chocolate should be, I think). It’s very rich, which makes sense if you know how it’s made: chocolate + cream. That’s it. Well, that’s it if you want, but I like to add a little bit of espresso powder (which deepens the chocolate flavor) and a pinch of salt (an indistinguishable amount of salt; just enough to make the chocolate taste chocolatier). It is also unbelievable easy to make. First, heat up your coconut cream. The microwave works well, but if you prefer the stove (or don’t have a microwave), use a small saucepan and watch the heat. Don’t burn that coconut cream! 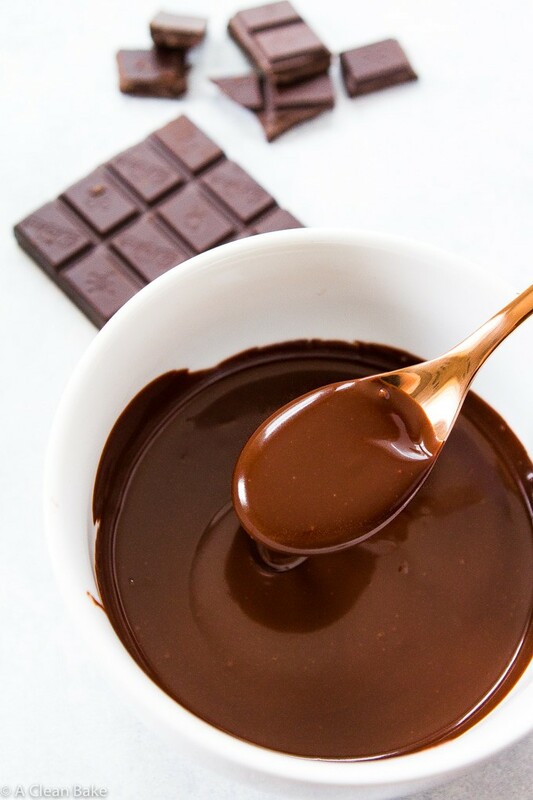 Once it is hot enough to be completely liquid – you’ll know because it will have a watery consistency – pour it over the chocolate. We use the heat-and-pour method for one reason and one reason only: seizing. Or, actually, preventing seizing. If you’ve ever had liquid chocolate turn thick and then clump up inexplicably, that is seizing. You can reverse it by adding a little melted coconut oil, but that throws off the ratios in the recipe and still doesn’t spare you the moment of frustration and terror when the chocolate seizes, so it’s best to avoid it, no? I thought so. Bottom line: heat your chocolate slowly so that it doesn’t seize (harden in a way you don’t want it to). Dip cupcakes in it. Boom. I saved you the need to make frosting. Or fill the cupcakes with it. Use a paring knife to scoop a cone-shape out of the middle of the cupcakes (cut in from the top), fill it with ganache, then put part of the cake cone back on top to seal it. Frost and serve. If you’re a frosting person, drizzle it over the frosting on a cake or batch of cupcakes, or use it between cake layers. Add a layer of ganache in between the cream and cake in a trifle. 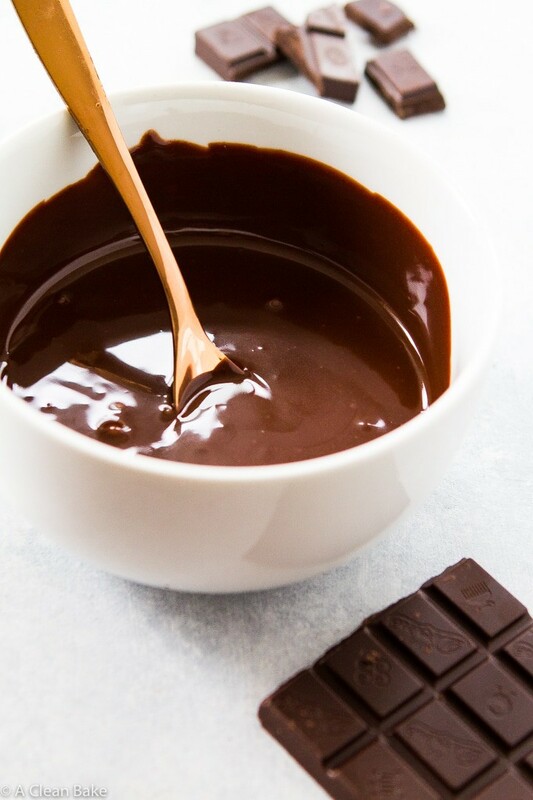 Mix it with warmed milk of chocolate for a really decadent cup of cocoa. Dip fruit slices in it. Eat immediately, like fondue, or place each piece of fruit on a wax paper-covered place or tray and refrigerate until solidified. Eat it with a spoon. No kidding. Keep a jar in your fridge and when a chocolate craving hits, a little (or big; your call) spoonful of this stuff really hits the spot! Pour it into a loaf pan, chill it and cut it into squares for easy fudge! 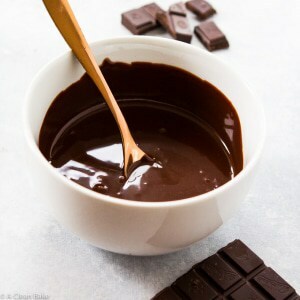 Paleo chocolate ganache is the easiest recipe to make: just heat your coconut cream, pour it over chocolate and stir! You'll get a silky smooth sauce that is as versatile as it is irresistible. Pour the coconut cream into another heatproof bowl. Microwave on high in 30-second increments until melted (fully liquefied with a very thin consistency). This will probably take 60-90 seconds. 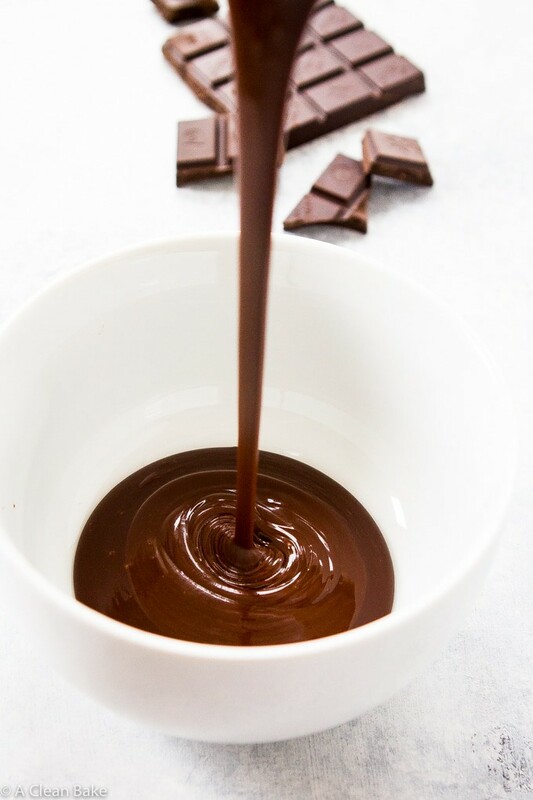 Pour the cream over the chocolate and stir until the chocolate melts completely. It may take longer than you'd expect, but the residual heat of the coconut cream will melt the chocolate. Keep stirring until the mixture is completely smooth. Allow to cool slightly if using immediately or, if you need it in a more solid form or want to save it for later, store it in an airtight container in the refrigerator until solidified and ready to use. Recipe makes about 1 cup. One serving is 2 Tablespoons. If you let this thicken slightly, will you be able to whip it to make whipped ganache like a cream fat ganache? In theory, yes, but I haven’t tried it so I can’t tell you for sure! Haha! Yes, it’s a very hearty recipe. Just kidding – that calorie count is for the ENTIRE recipe. I just refreshed the nutrition label, and it should be showing the proper info. Sorry for the confusion! Are you using coconut cream or coconut milk? Both ingredients are mentioned. Does this consistency work in a macaron as filling? Sorry if that was confusing. Cream is preferable! It should work as a macaron filling (provided you use the cream), although I have not tried it.